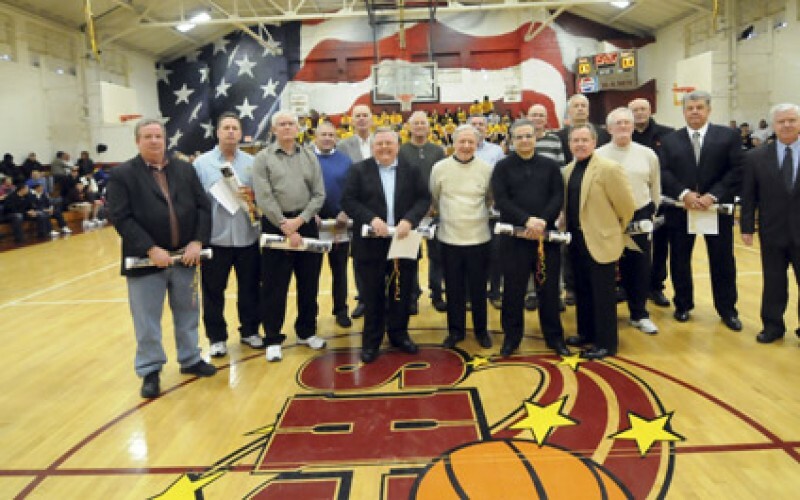 On Saturday, Feb. 20, before Gloucester Catholic’s basketball game against Haddon Heights, the school’s 1970 New Jersey State Championship team was honored. 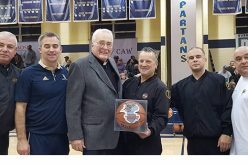 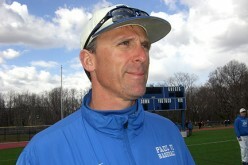 Coached by South Jersey Hall of Fame coach Ralph Saquella, the team defeated St. Joseph’s of West New York, 71-59, for the state championship game at the Atlantic City Convention Hall on March 20, 1970. 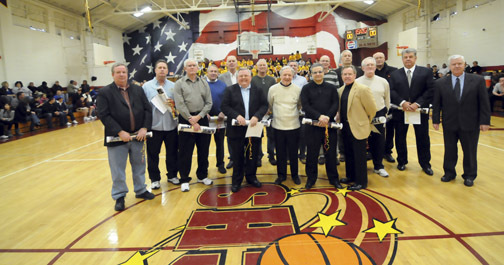 Present to relive their memories included Dr. James Bonner (student manager), Pete Carrera (guard), Edgar Chew (forward), Frank Koehler (guard), Mark Campbell (forward), Bob Kenney (guard), Jim Marley (center), Ed Hutchinson (student trainer), coach Saquella, Terry Beebe (assistant coach), Frank Haas (assistant coach), Dennis Calzonetti (forward), Dennis Flaherty (forward), Dave Rumaker (center), Joe Kain (guard), Billy Ulbin (guard), and school principal John Colman.